Only a few more days till we fall back?? Winter is fast approaching and I’m cooking up some fun and festive musical events to share with young people and adults alike in the Bellingham area. It won’t be long till I’ll be mapping out the calendar for next season’s Young Songwriter Summer Camp so reach out if you’d like me to schedule something in your neck of the woods. Here is the low down for the next few months..
November 2 to December 7th Fridays at 10am – 11am Baby and Me Creative Play Hour at La Vida Dance Studio $15 per session Join us every Friday morning for singing, shaking, rattling and yoga inspired movement for littles ages 6 months to 3 years and their guardians! December 18 – 20 Daily 10am – 3pm Winter Break Songwriting Camp at Havilah’s House! As always, we will engage in creative fun activities such as theater games. nature walks, art projects and more to inspire ideas for songs. As the songs come forth we will record them and create our own CD of all of our original creations. Camp will culminate with an short informal celebration and house concert!! Contact Havilah at havilahrand@gmail.com or call 512-554-6452 to learn more! I am also offering a special on four one hour voice coaching sessions package for $150 . Contact me at havilahrand@gmail.com or call 512-554-6452 to learn more! 2018 Young Songwriter Summer Camp Schedule is here! We are opening up the Bellingham camp at The Chuckanut Center July 16 – 19 to ALL AGES including adults. Come experience songwriting and recording with young people for yourself. Daily drop in rates of $75 per day available. Award winning Austin based songwriter Johann Wagner will be joining us. Email havilahrand@gmail.com for more info. I’m so excited to announce this summer’s Young Songwriter Summer Camps! We still have openings for more especially in August so please contact me if you’d like to set something up. Also please note that some camps require registration through our host and others you may contact me at havilahrand@gmail.com or use the links on the sidebar for application and paypal deposit. Looking forward to hearing all the beautiful songs we will create and record this summer!! June 18 – 22 The Valley School Seattle, WA Register with them please! June 25 – 28 9am – 2pm $200 Roots Community School in Chelan, WA Contact Havilah at havilahrand@gmail.com to register! July 9 – 12 Vashon Center for the Arts, Vashon, WA Register through them please! July 16 – 19 10am – 3pm $275 entire camp $75 daily drop in rate. OPEN TO ALL AGES INCLUDING ADULTS Chuckanut Center Bellingham, WA Contact Havilah at havilahrand@gmail.com to register! July 23 – 26 Songbird Camp at Full Moon Rising Farm on Whidbey Island, WA Register through them please! August 13 and 14 Songwriting Workshop for Teens at Full Moon Rising Farm on Whidbey Island, WA Register through them please! “I have to tell you that Audri’s music and writing really took off after getting such a solid and affirming start with you. She has wrote and recorded a whole album, with two songs one about the local whales and one about wild bison that she has been asked repeatedly to perform in the area for awareness events for Orca Network and Buffalo Field Campaign. 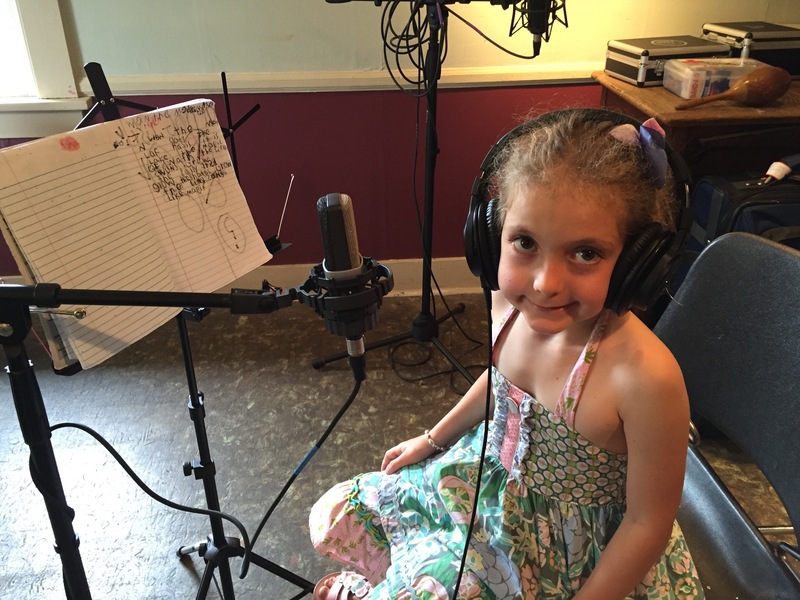 We are so grateful to you for the confidence you gave her and the beautiful epxerience she had working with you” – Parent and host of homeschool songwriting workshop. Summer 2017 Recap and Planning Ahead! Greetings friends! I hope that the end of 2017 has you reflecting on as many fun and creative moments as I am. This past summer marked the fourth year that Young Songwriter Programs have been running summer camps throughout the Pacific Northwest and beyond. We held nine camps altogether beginning in Los Angeles, CA for a private workshop at The Lab for Learning and ended in Southington, CT. This year I have relocated from Austin, TX to Bellingham, WA which will now be the home base for Holistic ArtVentures and Young Songwriter Programs. We are now offering songwriting workshops and camps to homeschool communities, private and public schools and children of all ages year round. Songwriting programs work well as an after school activity, during winter and spring break or as an artistic component to any academic curriculum or team building event. Email Havilah today at havilahrand@gmail.com to explore the possibilities! Here is a photo and video recap of our amazing summer of 2017! We began on Whidbey Island in June with a youth group called the Earth Guardians. Hosted at a beautiful home complete with gardens and farm on gorgeous Whidbey Island, our songs centered around protecting the Earth and all of its creatures. The next stop on the songwriting train was The Methow Valley to work with a small powerhouse trio of young ladies at The Methow Valley Community School. Our songs also centered on animals, friendship and….crazy librarians?? We returned to Whidbey Island for a week at Full Moon Rising Farm with seven incredible songwriters spanning ages 6 – 14. I was amazed at how well everyone got along despite the age gaps. The idyllic setting complete with nature trails, farm animals, and yurt to work out of made this camp extra special and we can’t wait to return in 2018! The ferry to Vashon Island from Seattle is always one of my favorite highlights of summer travels. The Vashon Center for the Arts always gives me a warm welcome with friendly smiles and a group of eleven excited songwriters. This week was bustling with activity as we wrote over thirty songs using our urban explorations and theater activities as inspiration. Camp Cody in Bellingham, WA never disappoints with a refreshing cold pond to swim in, a treehouse to practice melodic ideas and draft lyrics and trails aplenty for exploring and finding creative inspiration. We were extra lucky this year to have award winning songwriter Johann Wagner join us as a mentor and we look forward to his return summer of 2018! We ended our Northwest camps in beautiful Seattle at The Bertschi School with a small but astoundingly talented group. We spent the week sleuthing for lyrical ideas in the surrounding neighborhood, through watercolor painting and instrument making. Then I got on a plane to my childhood stomping grounds of Southington, CT to lead a camp hosted by my very own Aunt Mary and her newly opened art center called Southington Community Cultural Arts Center. I was joined by my songwriting and touring buddy Bruce Salmon who did a tremendous job of coaxing some beautifully raw and rockin songs out of our songwriters. We’ll be back next year! Creating this post brings me so much joy and gratitude for the work I am blessed to do. Looking forward immensely to hear the songs and meet the songwriters of 2018! Hey everybody! It’s getting to be that time when folks start making their summer plans so I’m ready to take registration for our 2017 summer camp season. Last year we were selling out of spots by mid March so I recommend registering as soon as you are able. I’ve posted an update schedule below and there is a registration button on the right hand side bar th at you can click on. Please download and/or print your own version of the document before typing info on it. This way it stays blank for everyone to use. You may also pay your $50 deposit using the paypal link or mailing to Havilah Rand 1500 Lakeway Drive Bellingham, WA 98229. This is going to be our best summer yet and I can hardly wait to meet all of our young songwriters and hear what we create. Thanks and see you soon!! April 29th Private Songwriting Workshop in Los Angeles. Email havilahrand@gmail.com if you’d like more info and to register. May 8 – 10 Parkrose Middle School in Portland, OR. Havilah will lead a songwriting workshop through the SUN program guitar class. Contact them directly if you would like to participate. June 3-5 Private Songwriting Workshop on Whidbey Island, WA. 10am – 3pm ages 7 – 12. Contact Havilah at havilahrand@gmail.com if you would like to participate. 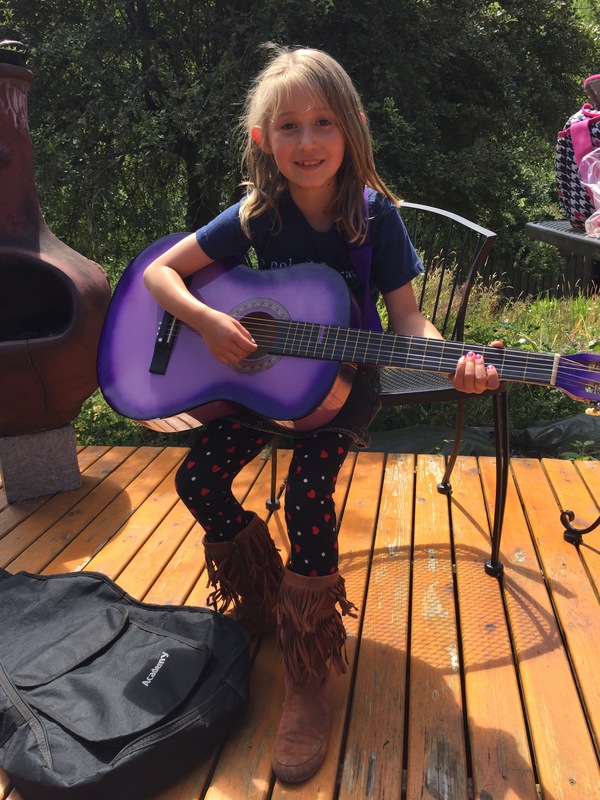 June 12 – 15 Methow Young Songwriter Summer Camp at the Methow Valley Community School. 10am – 3pm ages 7 – 13 $225. Register through the document on the sidebar or email havilahrand@gmail.com. June 26 – 30 Whidbey Island, WA hosted by Full Moon Rising Camp. Contact Full Moon Rising Camp directly to register. July 10 – 13 Vashon Island, WA. Contact our hosts Vashon Center for the Arts to register. July 17 – 20 Bellingham, WA. We are back at Camp Cody in Fairhaven complete with swimming pond and treehouse!! We are also lucky to have Johann Wagner as a guest teacher. 10am – 3pm ages 7 – 13 $265 (partial scholarships available). Register through the document on the sidebar or email havilahrand@gmail.com. July 24 – 28 Seattle, WA presented through Bertschi School. Contact them directly to register. August 1 – 4 Ferndale, WA. Hosted at a private location on a beautiful farm! 10am – 3pm ages 7 – 13 $265 (partial scholarships available).Register through the document on the sidebar or email havilahrand@gmail.com to learn more! August 17 – 20 and 21 – 24 Southington, CT hosted by Southington Community Cultural Arts Center. Please contact our hosts directly to register and learn more. Overflowing with Songs and Gratitude!! Five camps, over sixty young songwriters and over a hundred songs and I’m sitting here in a coffeeshop in Oregon City feeling so much gratitude towards every kid, parent, assistant and host who have participated in this project over the last three years. Writing songs with kids has reminded me of the joy that comes from the process of creating with spontaneity and curiosity. The list of benefits that I witness these programs providing continues to grow and instead of learning from what didn’t work, I spend most of my time examining what exactly is making these programs so successful! The strong connections and empathy that build between campers as they allow themselves to be vulnerable in front of each other is a testament to the true nature of human beings to be compassionate towards one another. Many of our songwriters this summer experience anxiety and a variety of challenges when it comes to reading, writing and focusing for long periods of time. We observed these anxieties alleviated to a high degree as they were given the freedom to use words in whatever way they chose, whether it was nonsensically, as poetry, as improvisation and then set in an artistic framework of melody and rhythm. Campers are also provided a variety of choices as to how they’d like to spend their time whether it be sound engineering, writing lyrics, drawing in their journal, working with a group, playing an instrument, mentoring younger participants and so much more. Songwriting can be a tedious process so we make a point of getting out of our heads with spontaneous dance parties, nature walks, theater games and even meditation. Parents who swore their child was too shy to perform in front of an audience were delighted to watch them describe the process of songwriting and then perform an original piece in front of a crowd of peers and strangers. Most importantly, we had so much FUN! From swimming in freezing cold rivers, to spying on shoppers in the local supermarket, to long walks in the woods, to using paint and recycled materials to make instruments, to our end of the day listening sessions.. every day ended with smiles and excitement for what the next day would bring. Thank you again to each and every one of you who has participated in making these camps such a transformative and enjoyable experience for myself and for the young songwriters I’ve been so blessed to work with. I’ll be spending part of the fall in Europe and then back in October to offer home school programs, private and small group sessions and planning next summer. Enjoy these pictures and please reach out to me with testimonials, comments, suggestions and requests for a Young Songwriter program near you! My email is havilahrand@gmail.com or fill out the form..